Nirvana and REM, Kendrick Lamar and J. Cole, Pharell and Michael Jackson. These are just a few collaborations that we were so close to getting but never, or probably never, will. Now there’s another one you can add to the list of almost-collaborations. When working on Blackstar, Murphy was originally meant have a much larger role on the project. According to Murphy, he was approached by Bowie and producer Tony Visconti to co-produce the record, but was “overwhelmed” by the prospect. While Murphy elaborated on not feeling like he “belonged” in the co-producer position, he also mentioned that there were plans to do a collaborative project together at some point. “I reached out to David and said, ‘I’d love to do a record just me and you’,” he said. “He said, ‘It’s funny you mention that, please look me up when you get back to New York.’” While the two met up according to Murphy, Bowie had already begun work on Blackstar, and well, you know the tragedy that happened following that. David Bowie was recently inducted into the the Library of Congress after cleaning up at this past year’s Grammy’s. 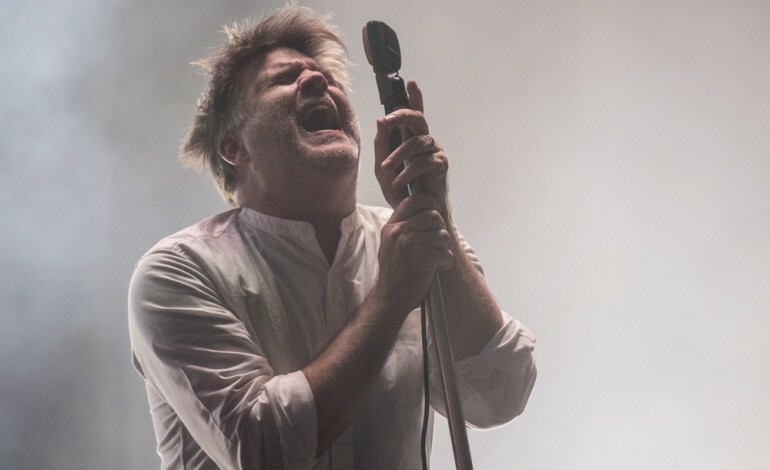 Meanwhile James Murphy recently sat down to talk about the affect of ecstasy on his love of dance music after LCD Soundsystem announced a new album dropping this September.